Opened in November 2007, the museum houses an impressive collection of Angkor-period statues. Spend an hour or two with Cambodian artist and designer Lim Muy Theam who has been creating beautiful lacquer works for years. His home/workshop/showroom on the way to the temples of Angkor is set in a very nice traditional wooden house surrounded by a lush tropical garden, where his art trainees work under his tutelage, creating contemporary sculptures, fabrics, colorful home decoration and souvenirs of Cambodia. A marvelous place to visit! Open every day from 8am to 7pm, free entrance without any reservation. A number of cats, fed daily by a French resident, are living with the monks at the back of this pagoda, located on the way to Tonle Sap lake. They receive nutritious meals and medical care and are sterilized whenever there is a visiting volunteer veterinarian in town. A must see for all animal lovers! A marvelous place showcasing all the traditional Khmer handicrafts. Silk weaving, stone and wood carving, lacquer ware, painting, silver plating, ceramic, gilding… Only beautiful pieces created by young Cambodian people who receive free vocational training, and displayed for sale in a stunning show room and shop. Beautiful arts created in front of you! 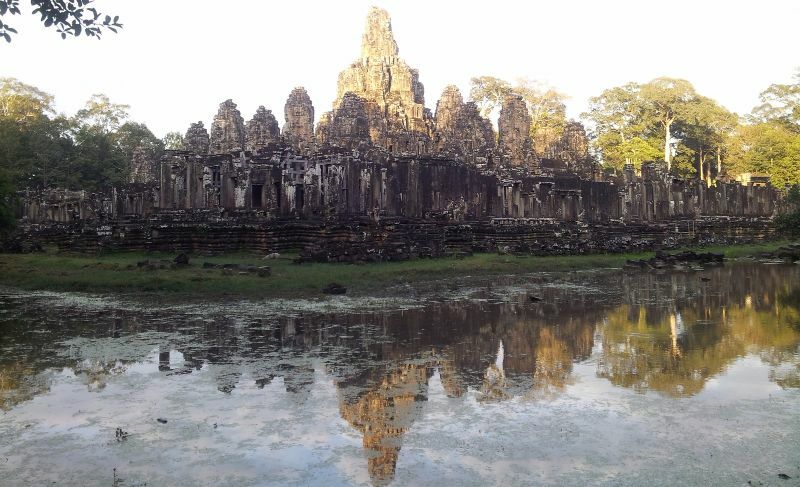 Silk, especially golden silk, stretches back to the Angkor period. This original specie of silkworm, called "Camboujou", is unique to Cambodia and derives its name from the beautiful golden color of their cocoons. This high-quality silk, intricately patterned and dyed, was reserved for royal ceremonies, formal clothing and pictorial tapestries (pidan). 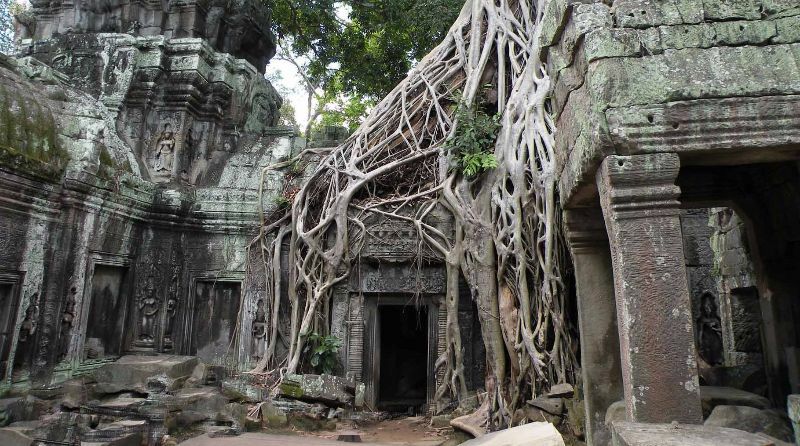 It was also used for the traditional costumes worn by the Apsara dancers of that era, as can be seen on the exquisite carvings that adorn the walls of Angkor Wat. This highly skilled craft continues today in various provinces of Cambodia, including here in Siem Reap. The whole process, from planting and growing mulberry trees, raising the silkworms and using the same hand-weaving techniques and natural dyes as in the Angkorian era can be seen at various silk centers around the city. A unique photographer whose black and white photos of the temples of Angkor, taken several decades ago, always fascinate with their otherworldly light. They can be seen at his beautiful and serene McDermott Gallery at the FCC along the river, as well as at the Raffles Hotel. Smiles of Angkor School is an English language school co-founded by Darith Touch, dedicated to strengthening its surrounding village. English is a necessary skill not taught in public school. In order for Cambodian children to thrive in the workplace, English must be spoken and written. SAS provides a positive, safe and nurturing environment to all of its students. 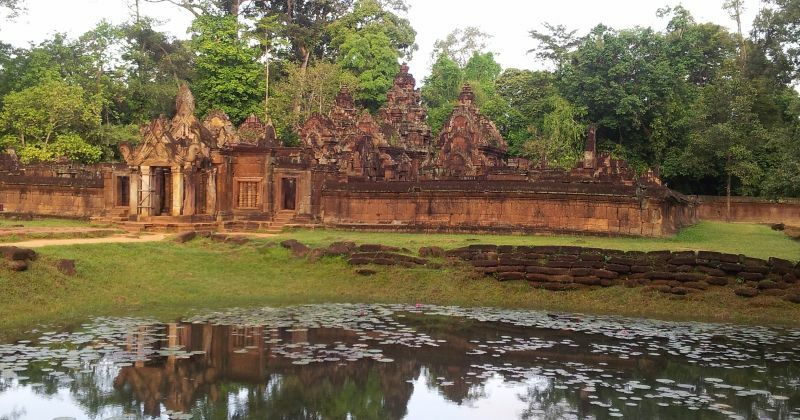 While there are a number of international schools teaching English in Siem Reap proper, there are none outside of the city center and would definitely be unaffordable for local families. SAS is located 20 minutes on the way to Tonle Sap Lake, making it accessible to the small villages’ kids and students who may not have access to transportation or no chance to get any English education near their home. All my guests who have visited the school during their stay in Siem Reap were delighted, and many among them have been sponsoring poor kids and students on their return home.